The spots on this carpet were the result of eye liner being sharpened and the shavings falling on the floor, followed by foot traffic. The bits of black eyeliner had become embedded deep in the carpet fibers. As you can see, we successfully removed the spots. At Residential Express, we use a specially formulated professional spot remover that is very strong and effective. It should only be used by professionals who understand the unique qualities of different types of carpeting. If you have stubborn spots on your carpeting, and you attempt to use a solvent-based spot remover, you could end up doing more harm than good. For this carpet, we only let the spot remover settle for about thirty seconds before rinsing and extracting it with our state-of-the-art equipment. 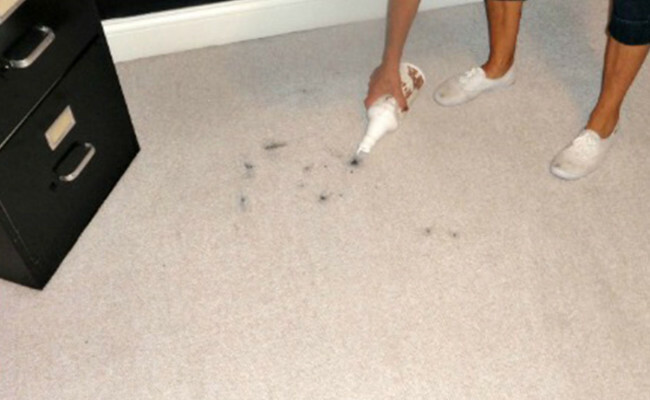 At Residential Express, we have the proper cleaning solutions to remove make-up spots, unknown foreign matter, tough stains, and more from your carpeting. We can even remove chewing gum. 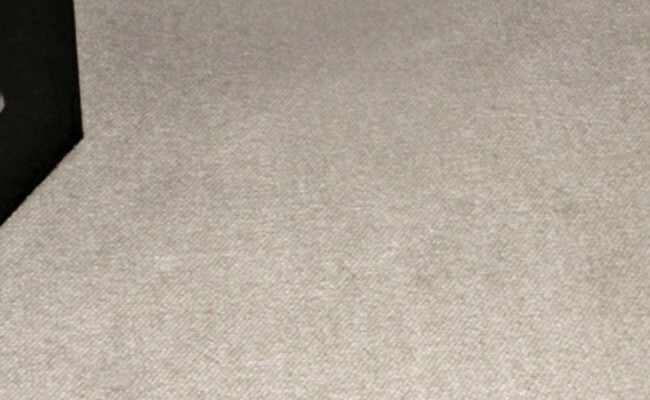 We have the knowledge and experience to treat spots without damaging carpet fibers. For a FREE estimate on carpet cleaning services in the Orlando, Apopka, Maitland, Winter Garden, Ocoee, or Clermont area, contact us online or call (407) 947-1416 today.